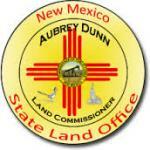 New Mexico State Land Commissioner Aubrey Dunn has announced a Gas Capture and Midstream Summit will be held at the New Mexico State Land Office in the coming months. The summit’s purpose is to address issues negatively affecting revenue streams to the State Land Trust beneficiaries. Recently, the Land Office was informed that natural gas producers operating on State Trust Lands have been forced by certain midstream companies to accept contractual terms for gas transportation and processing that effectively eliminate royalties due on natural gas produced and sold from State Trust Lands. Traditionally, Permian Basin gas has been processed under straight Percentage-of-Proceeds (POP) contracts. These contracts were originally created to ensure midstream companies would retain a percentage of the liquid product volume or value and/or the residue volume or value for their gathering and processing services. Such contracts historically resulted in positive proceeds to the producer and royalties to the trust. However, as a result of the decline in the oil and gas market since late 2014, some Permian Basin midstream companies have begun modifying the contracts under which natural gas is sold. In some situations, the midstream companies have replaced their POP contracts with rate-based contracts. Rather than charging a percent-of-proceeds fee, they have implemented a flat rate per wellhead MCF of gas and have increased fees for transportation and removing impurities from the gas stream. All such instances can result in the charges from the midstream companies exceeding the market value of the gas, which has the practical effect of eliminating the royalty due to the New Mexico State Land Office since that royalty is defined as a percentage of proceeds. Dunn says he is committed to obtaining fair market value for any commodity severed form State Trust Lands and has repeatedly worked on behalf of the trust’s beneficiaries to ensure a fair market return. The Land Office has begun an internal audit of instances in which such sales have occurred, and initial estimates of the impact of this practice on state trust gas royalty revenues are more than $200,000. The Land Office is currently facilitating pilot projects with companies to develop alternatives to traditional midstream. For example, a startup company called Greyrock has developed location-based small scale refining capabilities as an alternative. The State Land Office is responsible for administering 9 million acres of surface and 13 million acres of subsurface estate for the beneficiaries of the State Land Trust, which includes schools, universities, hospitals and other public institutions.